Lilo: He was an orphan and we adopted him! What about "ohana"? Anyone with more than one person in their household knows that for cutting the cord to be successful you have to make sure the entire family is happy... especially your children. 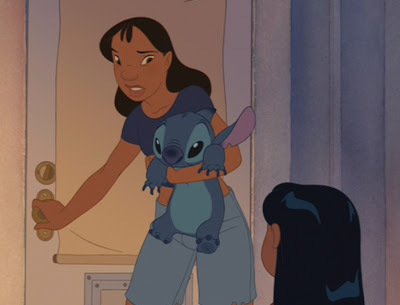 Ohana means nobody gets left behind! However, merely keeping your kids occupied with TV shouldn't be your goal (although any parent can appreciate how useful this is!). Just recently I had an interesting experience that I'll share with you about educational television that might just change your perspective about kids and TV. Yes, your kids have been patiently waiting for you to give up this cutting the cord foolishness so they can get back to their favorite shows. We are almost halfway through the "Cutting the Cord" survivor season, let's see if we can win over the kids too! What does this old guy have to do with Kids entertainment? My Son constantly pesters me to read him stories at night. Perhaps it is just his way of putting off bedtime a little longer, but I'd like to think that I'm instilling in him a passion to read and enjoy stories. I know someday soon it will be the last time that he asks (they grow up so fast), so I'm also trying to enjoy it while I can. The other day I was flipping through the TV channels (free, broadcast TV mind you), and ran across a Ken Burns' series on PBS called American Stories. This particular episode was on Samuel Clemens (the great American author, lecturer, and storyteller). 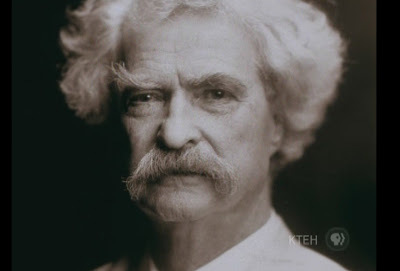 Of course, Samuel Clemens is probably better known by his Psuedonym of Mark Twain. At the same time my Son was busy with another activity and not paying attention to what I was watching. Gradually he started listening to the program and wandered over. Soon he was sitting on the couch next to me asking me questions and enjoying it with me. The show was a fascinating documentary about Samuel Clemens' career, business investments, family and his ability to overcome adversity and personal tragedy. As an adult, I was enthralled yet I would have never guessed that this would have grabbed or held my young Son's interest. Perhaps it was the style of Ken Burn's documentaries that he liked (old black and white pictures with short bits of narration). Without a doubt, Ken Burns' own storytelling succeeded in bringing Samuel Clemens' story to life in very human terms. PBS is full of educational and entertaining programming like this. I think you'd be surprised at how much of it would appeal to kids. Of course they have cartoons (I'll talk about PBS Kids in a minute), but I think it is a mistake to underestimate your childrens' ability to absorb/enjoy the rest. While I watched this program recorded on my Media PC from broadcast TV, there is also lots of PBS videos available on the Internet as well. If you are a fan of Ken Burns you can watch two of his other series on National Parks and Baseball here. What else is on broadcast TV for kids? The first thing that I did when I hooked up my TV antenna was look for what stations played kids' programming. Fortunately, I have good reception and had a few channels to choose from. In the morning and afternoons, you can find quite a bit of kid friendly content on PBS (and their sub channels). There are shows like Caillou, Sid the Science Kid, Sesame street, Barney, Curious George (my personal favorite), Martha Speaks, etc. ION (channel 65 for me) has a sub channel for the Qubo network with mostly kids shows. Qubo has Magic School Bus, Jane and the Dragon, Zula Patrol, Turbo Dogs, etc. You can even get some of these shows in HD on NBC (channel 11) on Saturday mornings. I'm sure if you get a decent selection of broadcast channels, you will be surprised at how much kid friendly content (e.g. cartoons, animal shows, etc) you will find. Of course, it really helps if you have something you can record them on so that they are available to watch later. This is where a Media PC or DVR comes in really handy. 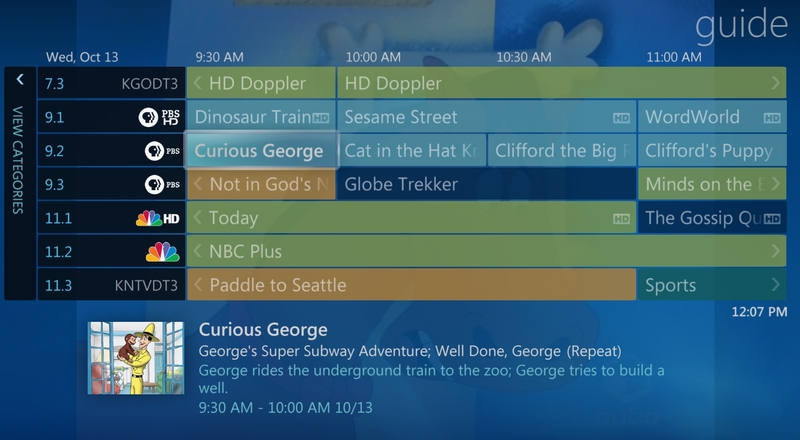 Before we cut off our Cable, our kids loved to watch Sponge Bob, Pokemon, Scooby Doo, and other cartoons that they found in the on-demand section of our Comcast DVR. Many of these shows were nowhere to be found on broadcast TV. When I signed up for Netflix, I didn't realize that they also have a good selection of kids shows on demand too! Here is just a short list of what my kids have been watching on Netflix in the past month or so: Lilo & Stich (the series), Johnny Test, Looney Tunes, Muppets in Manhattan, The Pink Panther, Cloudy with a Chance of Meatballs, Astro Boy, Dinosaur Train, Wallace & Gromit, etc. In short, Netflix easily replaced and exceeded the selection of kids shows that I had available on-demand with my Cable company. I'm sure there are some shows that aren't there, but there is plenty to keep the kids entertained. Just go to the Netflix "Children & Family" section and browse around. However, keep in mind that Netflix only shows you 75 titles or so (on my Media PC anyway). 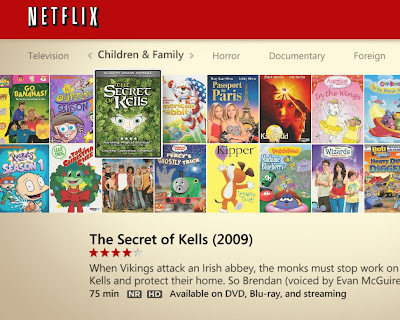 If you want more, either use the search feature or open a browser window to Netflix to get a more complete selection. We don't use Hulu quite as much as Netflix, but it is an "all you can watch" service well worth considering. 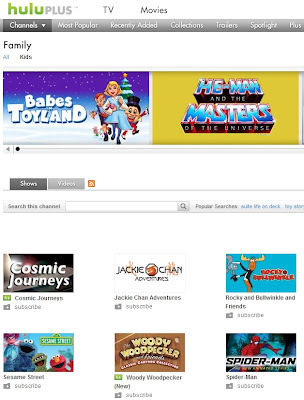 Hulu has channels for both "Family" and "Animation / Cartoons" to help you find content suitable for kids. Shows that might be interesting include: Woody Woodpecker, Rocky & Bullwinkle, Sesame Street, etc. HuluPlus (the $10 per month premium service) adds some shows: Speed Racer, Sitting Ducks, Astro Boy (more episodes) as well as a few family movies too. This isn't a fantastic collection of kids's content, but Hulu is free and HuluPLUS is appealing for other reasons. 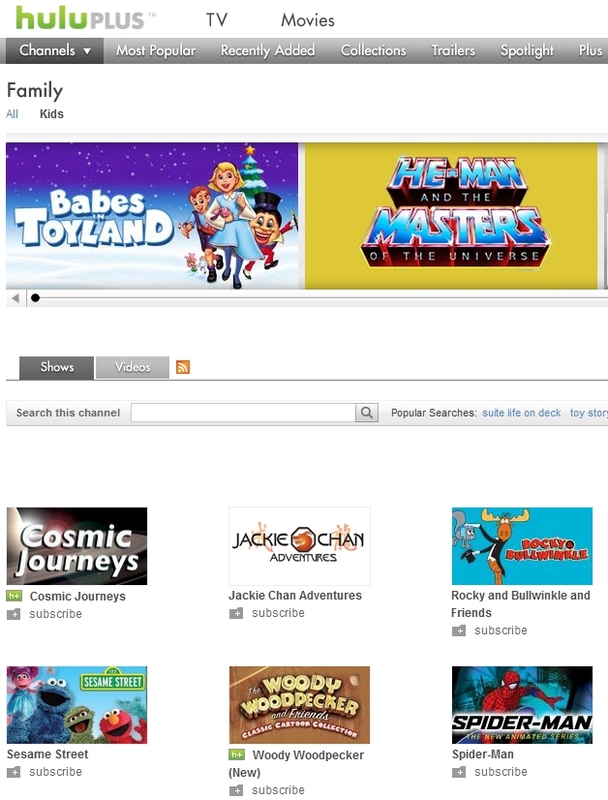 NOTE: While the Hulu Family channel has a Kids filter, the Animation/Cartoons channel doesn't. You might want to be careful what you let your kids watch as there is definitely some more adult oriented content here (e.g. Family Guy). I looked around and didn't find any parental controls. Hopefully, Hulu finds a clearer/better way to partition kids' content from everything else in the future. Okay, between broadcast TV, Netflix and Hulu things are looking pretty good right? Well, my kids still missed a few of their favorite shows (like Pokemon and Sponge Bob). This is where you need to venture a bit further out into the Internet to get what you want. 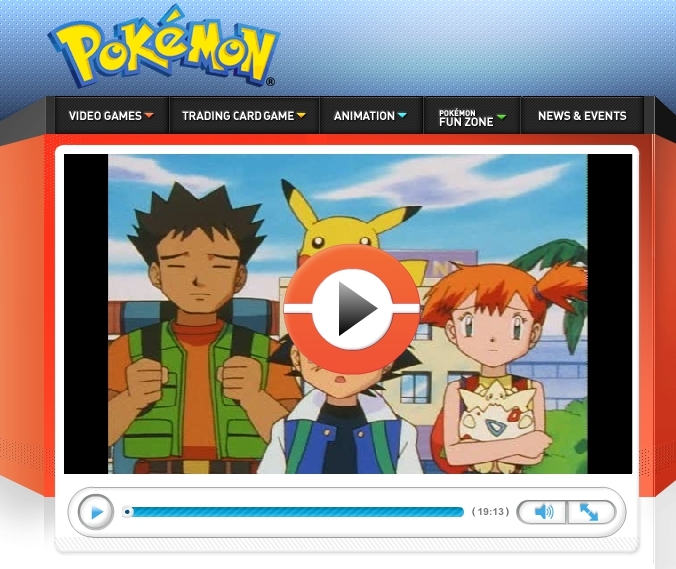 If you like Pokemon, start with the official site. Likewise if you like Sponge Bob, head over to Nickelodeon. Unfortunately, both sites only have a few full episodes. If you want more episodes, you can always try looking for alternative sites. I know I've found more Pokemon episodes on vimeo (for example). One alternative to searching on the Internet for other sources is simply to buy the DVDs. For example, you can pick up the first 100 Sponge Bob episodes for $81. More than enough to keep even a die hard Sponge fan busy for a long time. In fact, (in general) buying DVDs is a reasonable way to get some Cable only shows (especially if you are a collector) - just as long as you don't mind waiting for them to come out on DVD. You can even save some money if you find second-hand copies. Last years' shows are still just as funny and enjoyable. I've mentioned before that I like both Boxee and Zinc.tv as ways/tools of discovering new content. They are also useful in finding and exploring kids shows too. Once you find something you like, you can either watch it directly or try to search for the original source website. Sure all of this is more work, but once you find what you are looking for it is no more difficult than managing bookmarks for webpages. Okay Islanders, thanks for sticking with me this far. Hopefully you have found enough TV shows for your kids and family to enjoy. Certainly there is a lot out there and cutting the cord doesn't have to involve any real sacrifice at all (at least for kids' content). Till next episode, just remember: Ohana! Hulu (basic) also has tons of TV shows from the 70s, 80s, and 90s (full episodes). I was pleasantly suprised when I made my two sons (ages 11 and 14) watch Green Acres. They laughed through the whole thing and wanted to watch more. I've bought some sitcom DVDs (Gilligans Island, etc) but we have a DVD-purchase ban in the house now that we're cutting the bills. Hulu is a great free alternative for kids. Kids shows are the most difficult part of cutting the cord. My kids are a bit older and want the newer(Not old Netflix episodes)Nick and Disney shows which are very limited on aggregator sites, and not many episodes on main sites.